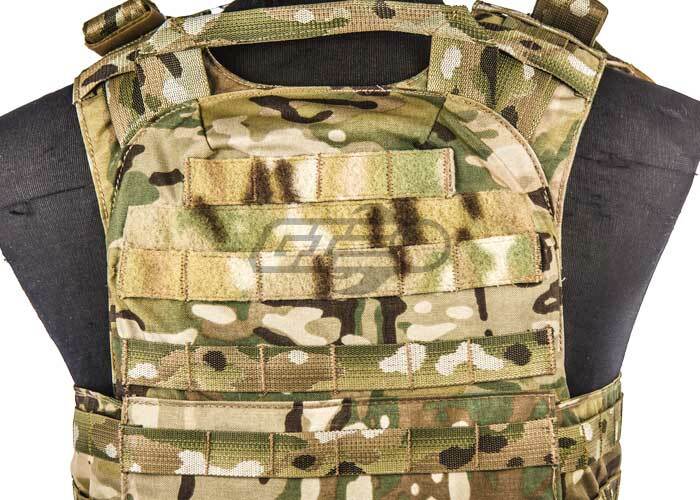 The Condor Outdoor Cyclone Plate Carrier accepts ballistic plates up to 10 1/4" x 13 1/4". 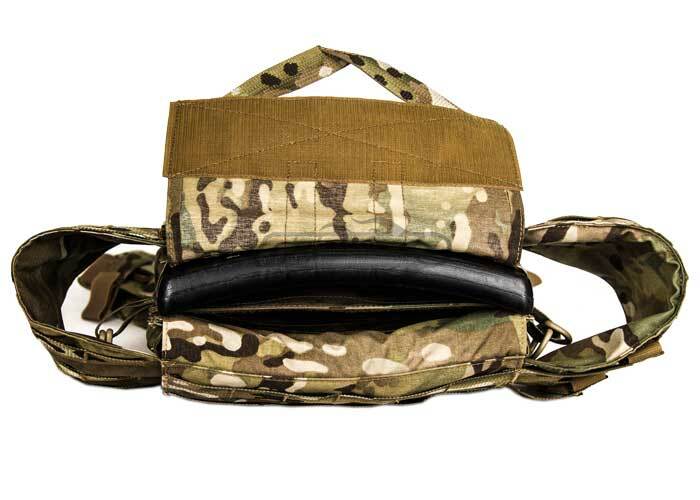 It is adjustable for height via shoulder straps and girth via the cummerbund. The cummerbund has an internal pocket for soft armor inserts. The front panel also has a pocket for flat items or magazine inserts. 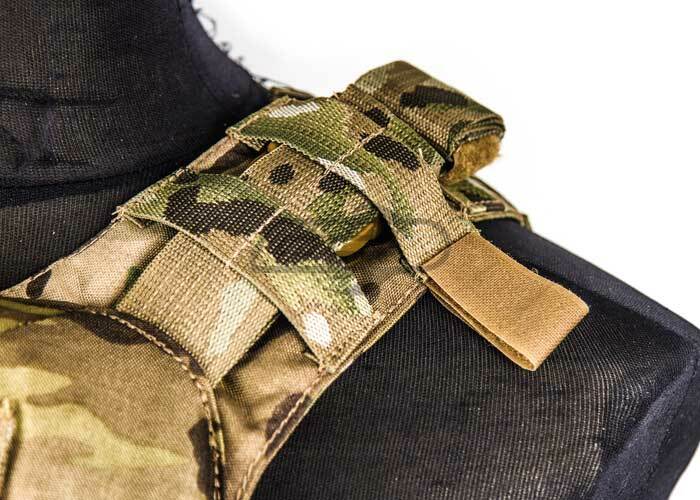 In addition to MOLLE webbing for the attachment of pouches, the front and back have loop velcro panels for patches, ID placards, IFF tapes, etc. 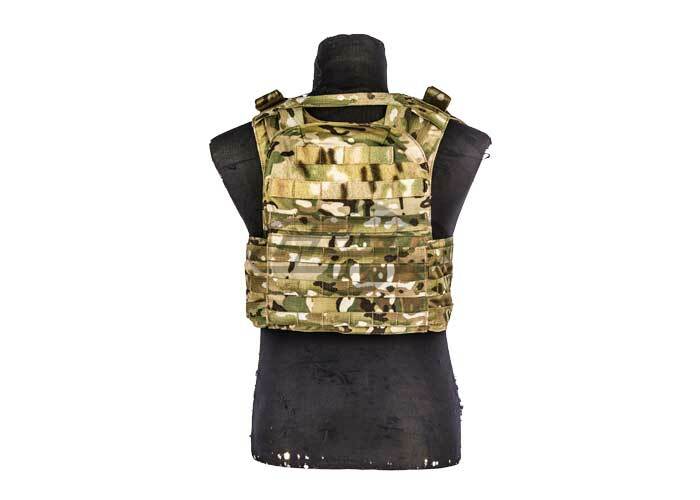 The Cyclone Lightweight Plate Carrier comes in a multicam finish, great for blending in with bright environments as well as other types of terrain. Condor Outdoor is making increasingly more products here in the USA. 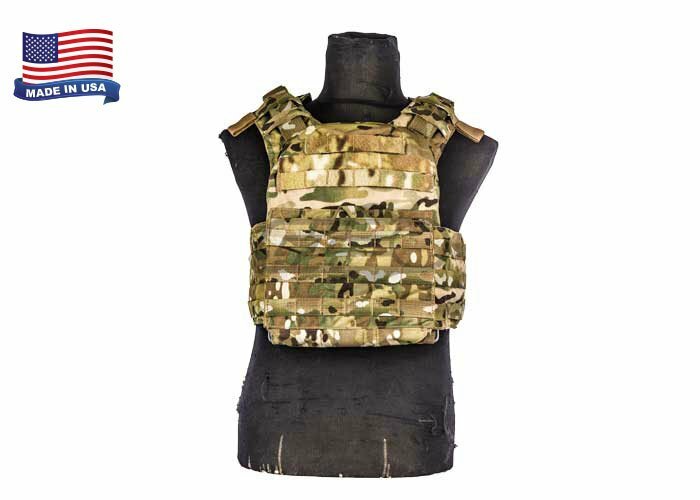 The Cyclone Plate Carrier is a great example of that effort, as it is an affordable and made in the USA. Loop panels front and back for patches, ID placeards, IFF tapes, etc. I've always liked the look of plate carriers, but I never seemed to have any luck with fitting into them properly. I'm not a smaller or larger guy, pretty average at 5'10" 185 lbs. I always felt as though PCs fit awkward...until I came across the the Cyclone PC. I purchased two dummy 10x13" plates with it as well, and man this thing fits nice and tight, but still with room to move. Although compared to other PCs that have more MOLLE space (which was why I bought the other PCs in the first place), this thing still holds everything I need. I run (from left to right, on the front) 1. kangaroo pouch 2. kangaroo pouch 3. double stacker open-top M4 pouch, all Condor multicam. On the left side MOLLE I have an additional single multicam pistol pouch, and the furthest to the left of that I have a closed-top double M4 mag pouch. On the right I have a Condor multicam sidekick pouch for misc. items. Additionally, this thing is tight enough to the torso that it enables easy placement of belt mounted holsters/dump pouches...both of which I also run. On the back I have a Source 3L low-profile multicam hydration system. All together, this thing is awesome. This is by far the BEST airsoft purchase I have ever made. Well worth the money! I'm 5" 9' and 110 pounds and this fits me amazingly. My goal was to find a plate carrier that fits tightly and sits high up on my chest. I decided to purchase this and this is everything I would ever want on a plate carrier. It's so adjustable. It could easily fit a smaller person or even kid. It could also fit a large adult. It comes with the side Molle un-attached so you have to weave it through the back. If you are thinking about buying this, do not hesitate! Small Velcro loop on the shoulder pad on each side. Very random and serves no purpose. Not a problem just unwanted. Just tuck it under the shoulder pads or cut it off. This was my first plate carrier I purchesed, a little over two yeas ago. I have used it every game sence. 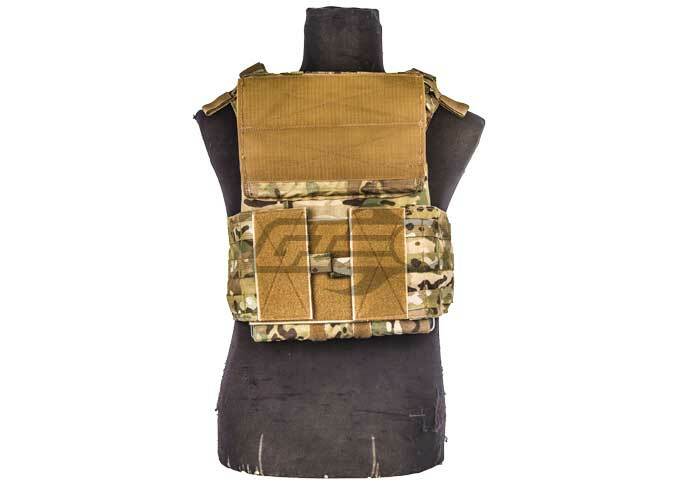 It is a basic low profile plate carrier, nothing spictacular. The velcro, molle webbing, comerbuns, and sholder staps have held up fantastic. This is a scoreing product from condor. I have compared the Banshi plate carrier to the Cyclone, and the diffirence is barly noticable. Will this fit right on a 5'4 105 pound person? 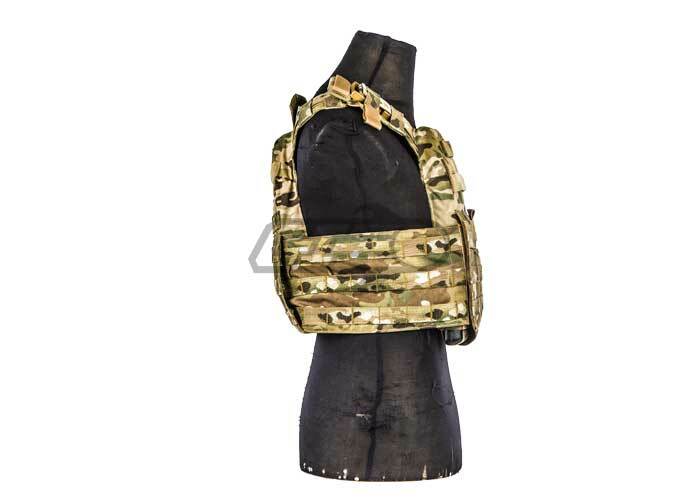 what plates would fit best inside this plate carrier? 10x13 plates Airsoft Gi sell 10x13 plates that would fit right. These colors seem to be darker than normal multicam, is this true or is it just the picture? I have other multicam equipment and want it to match, specifically my 5.11 shirt and pants. Will it match or will the colors be off? It is just the picture, i have this vest and it is great. I think it will look slightly different but not much of notice (only because it is made by a different brand so it probably has a different design for multicam). 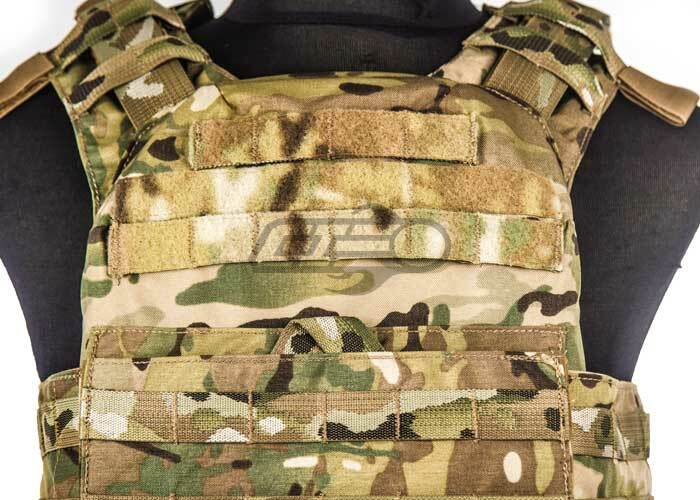 But definately buy this because its the closest you will get in my opinion to a crye vest. how well will this vest fit someone who is 5'2 and 100 pounds? It can be adjusted to fit you.